Every year there are plenty of interesting stories in the November Nine. And the 2014 November Nine is certainly no different because each player has their own intriguing tale, from Mark Newhouse making back-to-back final tables to established pro Martin Jacobson being in the mix. But there are three players who we’ll especially be cheering for to win when November 10th arrives, and you can read why below. Who knew that foosball was a big deal, complete with big tournaments across the world? Billy Pappas showed us the light after making the 2014 WSOP Main Event final table and gaining additional fame for being a 5-time US foosball champion. Given his duel talents for poker and foosball, we definitely think that it’d make for some great headlines if the 29-year-old is able to win the Main Event. However, he’s got his work cut out for him because Pappas admits to being a “recreational player” and is sixth in chips (17.5 million). On the other hand, he did have a respectable $104,635 in live tournament winnings before the Main Event started. Bruno Politano is easily the most passionate player left among the 2014 November Nine. The Brazilian is not only excited to make the final table, but he’s also pumped about doing well for his country. “Brazil is a community of brothers – everybody supports everybody,” he said. “Brazilian guys rail for the other, pray for the other. If you are good, everybody’s good. It’s a powerful moment for Brazilians. It’s not my dream come true, it’s a country dream come true.” We really like Politano as a person and player, but he’s also the biggest long shot to win with 12.125 million chips, which ranks him ninth right now. 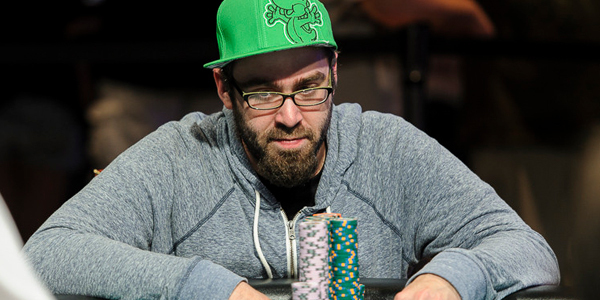 He’s not one of the more famous players on the 2014 Main Event final table, but Dan Sindelar is an interesting story nonetheless. For starters, he’s been a very successful high stakes online cash player, even dominating the likes of Daniel Negreanu and Mike Matusow in $100/$200 NL Hold’em. The 30-year-old draws more points in the interesting category because his father, Bill Sindelar, is a masters division world powerlifting champion. So could their be two world champs in the Sindelar family? Dan certainly isn’t out of the final table picture since he’s fifth with 21.2 million chips.